There are many kinds of businesses that you can set up these days. 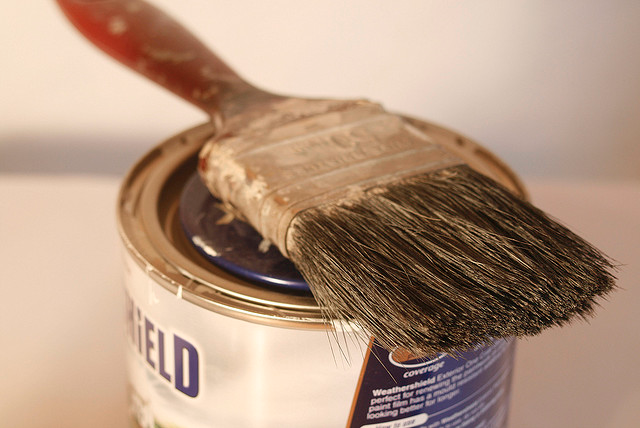 One niche that is both lucrative and popular is painting and decorating. If you have those skills, it could be a good idea to start working for yourself. After all; it’s likely you will have many satisfied customers already to prove that is the case! The first thing you need to think about is what you will call your business! Many self-employed painters and decorators will just use their name. But, if you plan on hiring people to work with you, a different name might be better. It’s an important first step because you’ll need a trading name when dealing with people. Next, you will need to consider what to set your business up as from a legal point of view. Do you want to be self-employed, for example? Perhaps you would rather get incorporated and become a company? I recommend speaking to a business advisor or accountant before you make a decision. That’s because you want to set your business up in the most tax-efficient way possible. After all; you don’t want to be liable for tax that isn’t necessary to pay! Starting from scratch or becoming a franchisee? There are two options available to you right now. The first is to set up a business from scratch and build a new independent brand. The second is to become a franchisee for an existing brand. Both options have their pros and cons. If you want to make a name for yourself, the first one is best for you. But, what if you wish to avoid spending time and money doing that? A CertaPro franchise, for example, is a great alternative. Again, seek advice before deciding whether to go independent or become a franchisee. Once you’ve decided how you wish to proceed, you’ll need to register your business. That usually means contacting your local tax office. Once you do that, they can issue you with a tax ID number that relates to your new enterprise. It’s important you do that before you start trading. Otherwise, you could end up in serious trouble and may even get prosecuted! Next, you’ll need to have the right tools and equipment to carry out your work. If you don’t have the money to buy them, it’s worth finding out if you can get a grant or small business loan towards them. If you’re lucky enough to have the tools already, even better because it means you can save money! Distribute leaflets to local residents and businesses. All that you need to do now is follow the steps in this guide to get started. Good luck!